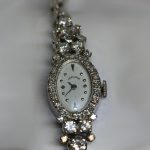 White gold Hamilton ladies watch with 5.74cwt in diamonds. Item is in great condition, with no evident signs of wear. 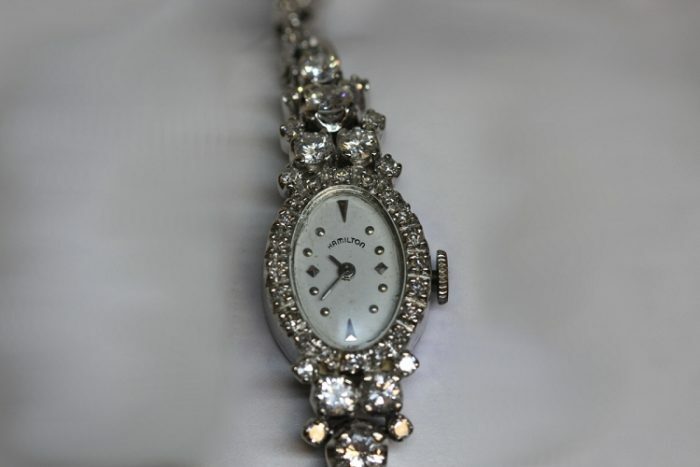 Watch is in 14k white gold, 17 jewel movement still running.